Interference fringes are clearly seen when the apparatus is viewed in sunlight, fluorescent light or monochromatic light. 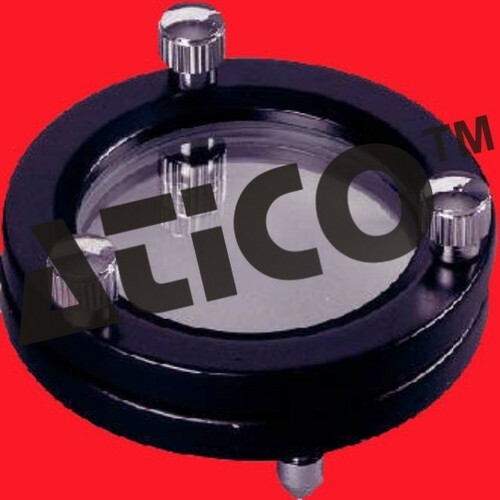 The glass plate and convex lens are held in a heavy aluminum frame having three adjusting screws. The frame is 9 cm in diameter and aperture is 5 cm.